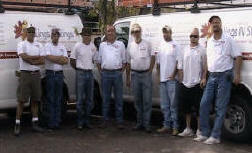 Serving Glendale, Phoenix, Tucson and all of Arizona. We are a family owned and operated pigeon control and bird control company that has spent over 11 years specializing in providing Humane, Effective, Discrete and Guaranteed pigeon control and bird control solutions to 4500+ homes and 100's of businesses. It takes an experienced specialist to do the job right the 1st time, so that what ever pigeon control or bird control or exclusion type product is installed on your home or business in Glendale will be effective and last for many years to come. 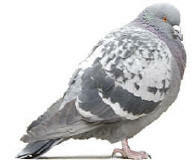 While pigeon control and bird control in Glendale Arizona is associated with the pest control industry controlling pigeons and controlling other pest birds in Glendale and throughout Arizona requires completely different tools, methods, equipment and knowledge than pest control services and is very different than controlling household pests in Glendale like ants, crickets, roaches or termites. Contact Arizona Wings N' Stings today to see about scheduling a free inspection of your property in Glendale and see how we can help you stop all the noise and associated mess pigeons and birds create as well as the problems of possible slip & fall dangers or health hazards associated with pest birds like pigeons, sparrows and starlings to you, your family, employees and customers that may be roosting or nesting on your home or business in Glendale Arizona.